The holiday season is enough to make any crafty lady (and foodie) go insane… in a good way. I’ve been swamped with so many awesome holiday and winter DIY ideas—I’ve got lists for days. And while I know it would be impractical to make every single one, the most I can do is share some crafty inspiration. Here are some of my favorite DIY-able ideas that I found around the web this past week. DIY: Wrap wire around a crystal bar. Glue to a flat door knob. A set of agate knobs would make lovely stocking stuffers for someone who is renovating! DIY: I love the simplicity of this one. All you need is a wide paint brush, metallic gold paint (or liquid gilding), and a plain solid-colored table runner. The best part is that there is no right or wrong way to do this; it’ll look great either way. 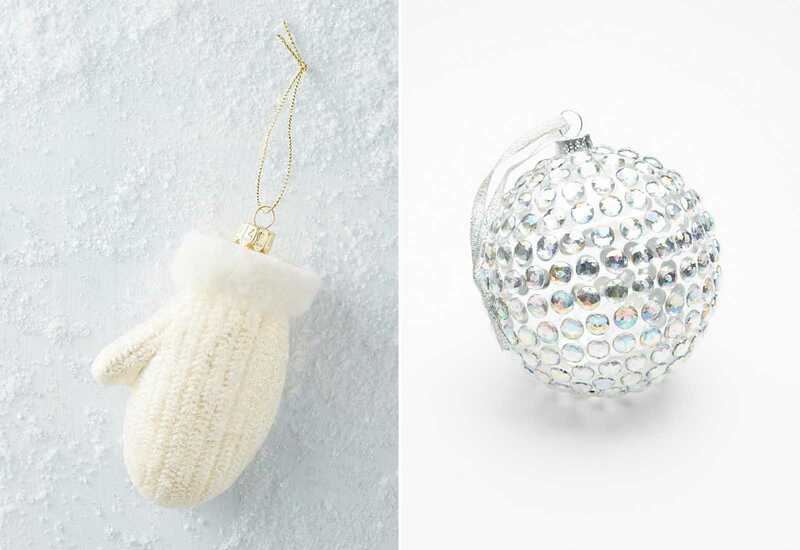 DIY: A similar ornament can be created using an old baby mitten, filled with pillow stuffing and lined with a strip of faux fur trim. Of course, it won’t be made of glass—but it’s a charming way to hold on to a little one’s baby mittens after they grow out of them. DIY: A clear sphere ornament and stick-on flat back rhinestones. Lots and lots of rhinestones. Scroll through past DIY Inspiration posts for even more ideas.